The 4th annual Black Comic Book Festival is being held this Saturday, January 16th, at The Schomburg Center for Research in Black Culture (New York, NY). As the name suggests, it’s a celebration of black comic heroes, heroines and creators. Like most comic events, the BCBF includes panels, workshops, film screenings and exhibitor tables. 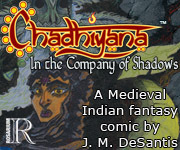 Amongst the exhibitors will be my publisher (for the Chadhiyana series), Rosarium Publishing, and they’ve asked me to join them for the event! The event was originally conceived four years ago by a number of creators, including one of my fellow Rosarians, John Jennings (Blue Hand Mojo, Pitch Black Rainbow and Kid Code). It starts at 10:00 am and ends at 7:00 pm (one hour after the library usually closes). 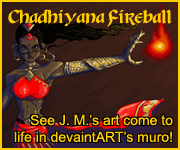 I expect to be there for the entirety of the day, hanging out, signing some Chadhiyana books and maybe even taking on some commissions (providing my publisher is okay with that). You can find out more about the BCBF at either of the following links, eventbrite.com/e/4th-annual-black-comic-book-festival-registration-19966098137, nypl.org/events/programs/2016/01/16/4th-annual-black-comic-book-festival or on their website: nypl.org/locations/schomburg.